Pop singer best known as the winner of season eight of The X Factor Italy. He went on to release the Gold-certified album 1995 and the double platinum, chart-topping single "The Reason Why." Before rising to fame on X Factor 8, he auditioned unsuccessfully for the show's seventh season. In 2015, he was nominated for a Nickelodeon Kids' Choice Award. A native of Catania, Sicily, Italy, he grew up with one brother and was encouraged in his musical pursuits by his pianist father. Fragola and his longtime girlfriend Federica Consiglio ended their engagement in late 2014. 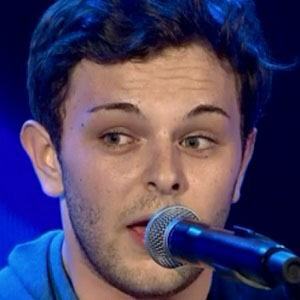 He and Marco Mengoni are both X Factor Italy champions.